My Husband Fell Off a Work Truck. What Can He Do? Home » The Law & You » My Husband Fell Off a Work Truck. What Can He Do? Fellerman and Ciarimboli workers compensation attorneys Greg Fellerman and Ed Ciarimboli answer a question from a concerned viewer whose husband had fallen from a work truck. He later discovered the truck should have had a safety device installed to protect him. What can he do with this information? Dave Kuharchik: It is time once again for “The Law & You.” Back with us today, they got through the awards, they made it here in the studio, Greg Fellerman and Ed Ciarimboli. Ed Ciarimboli: Hey, it’s a big weekend. Greg, what’s going on this weekend. Greg Fellerman: It’s Jennifer’s birthday. Happy birthday. Ed: It is my wife’s thirty-second birthday. Greg: I remember that birthday where you headed to Miami together. She really enjoyed it. Ed: Yeah, she was twenty-five? Dave: And you didn’t forget, you’ve got to know, right off the top here. Ed: No,no,nope. Happy birthday, honey. Ed: At the minimum he’s going to have a a worker’s compensation claim because he was in the corner scope of his employment. That’s first and foremost. You want to get that claim filed now so you have some income coming into you house so you can pay your bills. Secondly, you want to look to who owned the truck. Obviously, if it’s somebody else other than the employer, then you may have a claim against the trucking company. After that, you basically want to look at the manufacturer of the truck. If the truck was supposed to have a piece of equipment that it didn’t ultimately have that made it unsafe, you might have a claim there too. You could have a couple claims, and I’m going to let Greg tell you what you need to do to pursue these. You’ve got a lot going on here. Greg: The one thing with the worker’s compensation claim is that you really have to get moving on that. You’ve got to make sure you’ve given your notice, you’ve got to make sure you’re actively treating, and your going to the doctor under the worker’s compensation act; For the first ninety days, you have to treat with their doctors. Make sure you do that; All the other stuff will kind of fall into play; but the most pressing issue here is the worker’s compensation. I think you need to pick up the phone and call a lawyer. It’s a complicated case. Worker’s compensation gets very adversarial and you need someone to get involved in your corner ASAP. Ed: We say it all the time, but with any tractor-trailer case, even one like this, you need to get an inspection done of that tractor-trailer immediately to preserve the evidence. Otherwise, your going to impact your own claim. Greg: You’re never going to get the final claim. 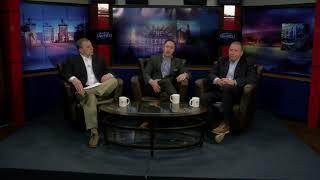 Dave: Results matter with attorneys Greg Fellerman and Ed Ciarimboli guys thanks we’ll see you next time.